1 Landlord, 1 House, 110 Worker Beds, = 44,000€ Per Month Rental Income. The Property Was Previously A Private Home, It Has A Bathroom Ratio Of 1 Per 10 Residents, And Potential Rental Revenue of 44,000€ Per Month, 264,000€ Per Season. Ibiza’s property crisis continues to attract the attention and interest of the Spanish media. 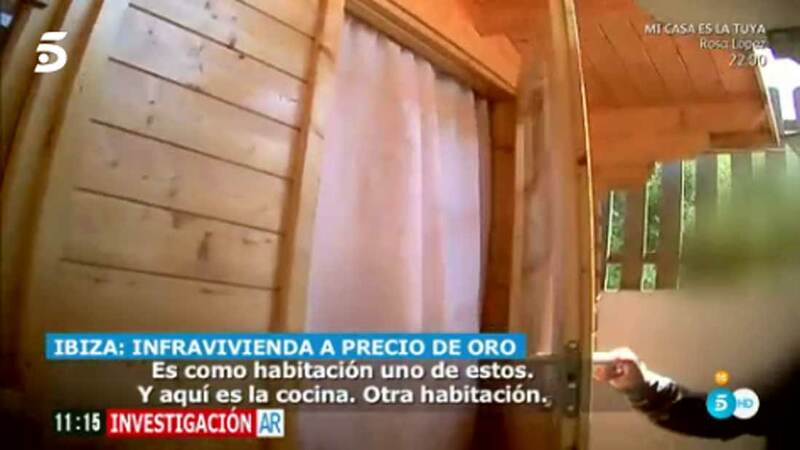 This week the popular current affairs and lifestyle television programme, Ana Rosa, released an investigative report highlighting some of what the NouDiari termed “abuses” of the situation caused by the accommodation shortage. In the report, undercover journalists are shown posing as workers looking for accommodation. In Ibiza Town they are shown accommodation where the tenant is charged 400 euros for a very basic bunk sharing a room with several others. 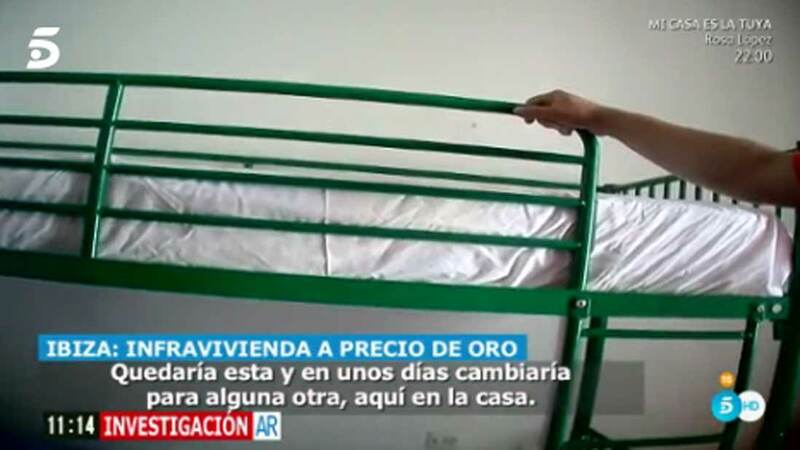 The owner says there are 10 people living at the apartment, netting him 4,000€ per month. In another case the journalists visit a property where the German landlady has eight wooden cabins—what we would call summerhouses—in her garden. Each rented for 1,500€ per month. She says they are legal and declared to the treasury, however a lawyer speaking on the programme says that such licences would be impossible to obtain. In perhaps the most startling report of all, they are shown around a Villa in San Antonio by the owner of the property, who has subdivided the 900m2 into 50 bedrooms and 11 bathrooms, some of which are squeezed into the smallest of spaces. The property, that was previously used as a private family home, now has 110 beds available, each rented at 400€ per month. During the report the owner talks of the accommodation only being available to workers, and only those who respect the peace and quiet. He asserts this by telling how he evicted 3 workers the week before for causing a disturbance. Should the owner let all of the available accommodation he stands to earn 44,000€ per month, 264,000€ on the six month season. But it seems that is not quite enough for the landlord. He then charges each tenant 35€ ‘expenses’ on top.